Sell USD-INR between 55.10-55.25 add shorts on rise to 55.5-55.75 stoploss 56 on closing basis and targets 54-53.5 in short term. Momentum on the downside if USD-INR closes below 55. 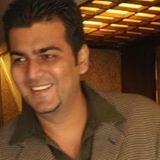 Ankit has written 5 articles. It seems you did not get this one perfectly. The rising wedge, is more like a upward channel, rahther than a rising wedge. Joing the tops when rupee hit 531.15(10/11) & 53.82(today). I had seen this post on the twitter account of @thefallingwedge (another superb blogging site and twitter update site for currencies), and was tracing it since then. Awaiting a contra post of the chart! The rising wedge seems to be now on a breakdown.